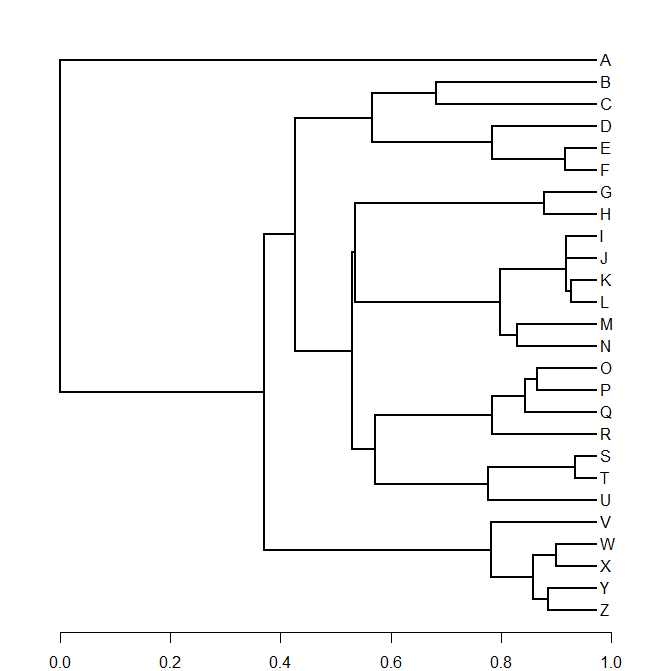 This new version has a number of small updates around the edges - but the biggest update is that it now plots the tree on the original scale, rather than fixing the plotting window at a particular size and then rescaling the tree to the the plotting window. The advantage of this is huge as it makes it much easier to overlay additional plotting elements on our graph. 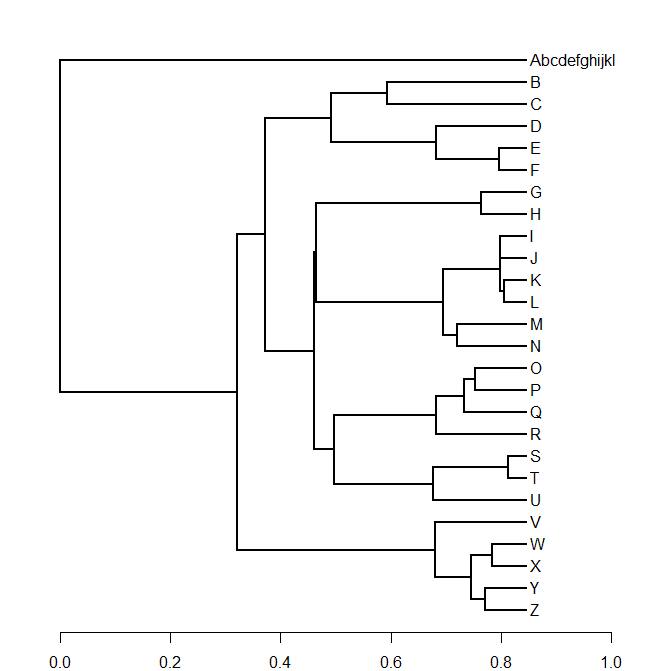 Now you might ask why would I have fixed the plotting window and rescaled the tree to the plotting window in the first place? Well - good question. 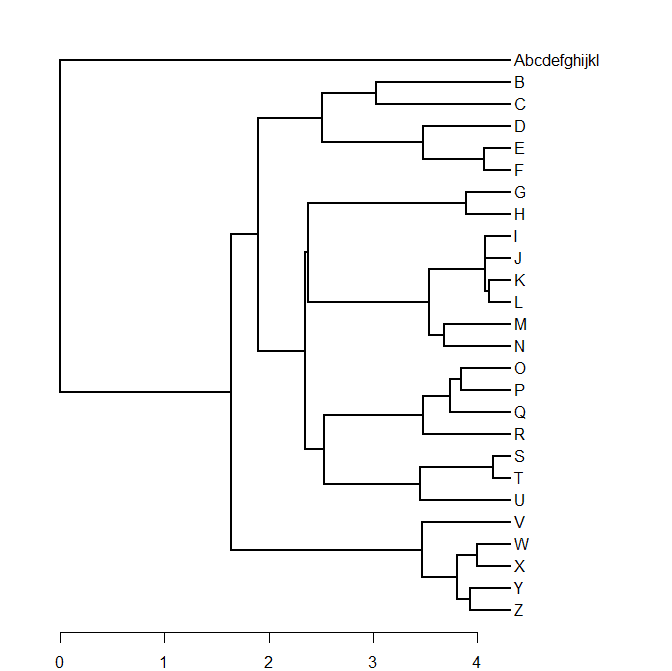 The problem is how to figure out what amount of space to leave to the right of the tips of the tree for labels. 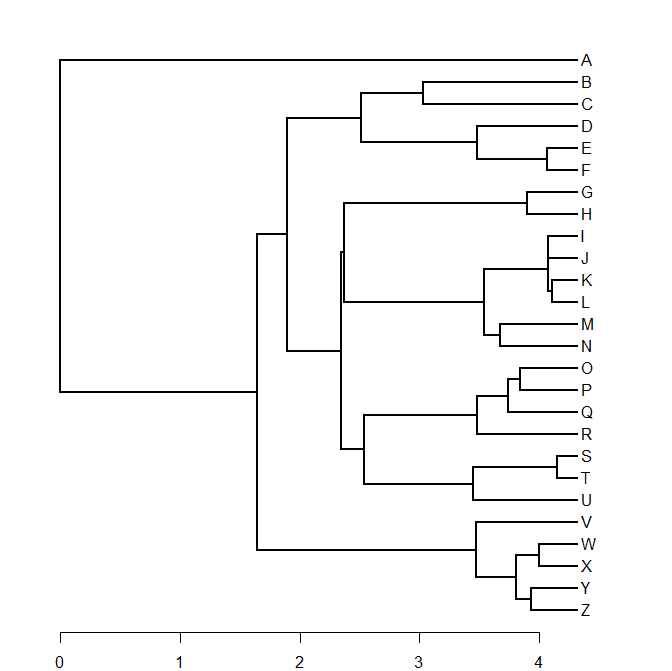 At the time, the most obvious way to do this was to set the plotting window at a fixed width (say 1.0 unit), and then compute the maximum fraction of that horizontal space to allow for our labels - then rescale the tree to occupy the rest of the space. So you can see - that in terms of our plotting window, the scale of our tree is actually changing if we get longer tip labels! Oh no. So long as we don't want to add anything to our plotting window this is not a huge issue - and in many situations that will be the case. 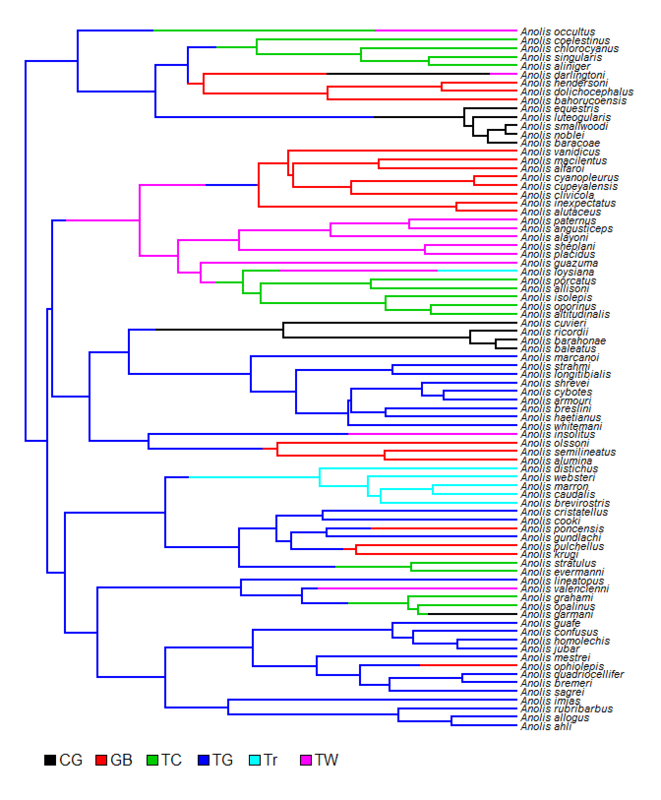 However as soon as we, say, decide after the fact that we'd like to add a scale bar to our plotted tree, we're in trouble. We can see that the scale is the original scale of the tree - and it is retained when we use different sized tip labels. The only problem with this update is that - as mentioned earlier - many of the other plotting functions in phytools rely on plotSimmap internally, and they have been built to accommodate its quirks. Consequently, there is a good chance that this update will break those functions. Fear not - I will work on bringing the rest of phytools into line quickly.